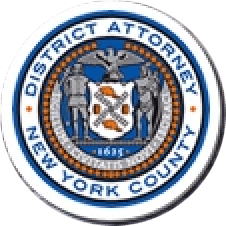 Manhattan District Attorney Cyrus R. Vance, Jr., announced the indictment of CONRADO JUAREZ, 52, for the July 1991 murder of four-year-old Anjelica Castillo. Before investigators recently learned her identity, Anjelica was widely known as “Baby Hope.” JUAREZ is charged with Murder in the Second Degree. According to the complaint and statements made on the record in court, on July 23, 1991, construction workers found the body of a female child inside a cooler in a wooded area near the Henry Hudson Parkway. The body was wrapped in a plastic bag and concealed beneath soda cans. The New York City Office of the Chief Medical Examiner subsequently determined that the victim was about three or four years old at the time of her death, and that she had been sexually assaulted and asphyxiated. For 22 years, investigators from the New York City Police Department and the Manhattan District Attorney’s Office continued to seek evidence regarding the identities of the victim and her murderer. Last summer, after an appeal for information, a tip led to the victim’s mother. Investigators learned that the victim’s name was Angelica Castillo, who had been four years old at the time of her murder. Further investigation led to the indictment of JUAREZ, who is a paternal relative of the victim. Assistant District Attorney Melissa Mourges, Chief of the Forensic Sciences/Cold Case Unit, and Assistant District Attorney Emily Logue are handling the prosecution of this case. Retired DANY Squad Detective Jerry Giorgio also assisted in the investigation. District Attorney Vance thanked detectives from the NYPD’s 34th Precinct and Cold Cases Squad, as well as the following individuals: Detectives Robert Dewhurst and Wendell Stradford of the Cold Cases Squad, Detective Evelyn Gutierrez of the Brooklyn Special Victims Squad, and Detective Carlos Vazquez of the Juvenile Crimes Squad.